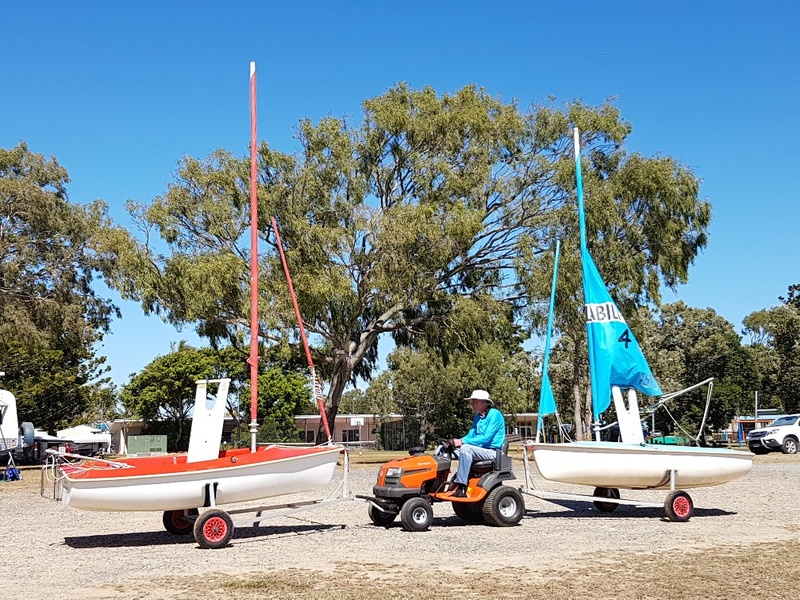 Thanks to Peter ‘Mechanical Magician’ Murphy Sailability Capricornia now has a ride-on to help launch and retrieve boats on sailing days. Peter’s unique towbar and drawbar designs enable 2 boats to be delivered to the water’s edge at one time. Quite a sight to see the ‘Sailing boat roadtrain’ leaving the shed and heading to the lake. A huge thanks to Peter for his efforts.